A half day’s walking trip around this quiet area is a great way to get close and personal with this charming corner of Gozo. 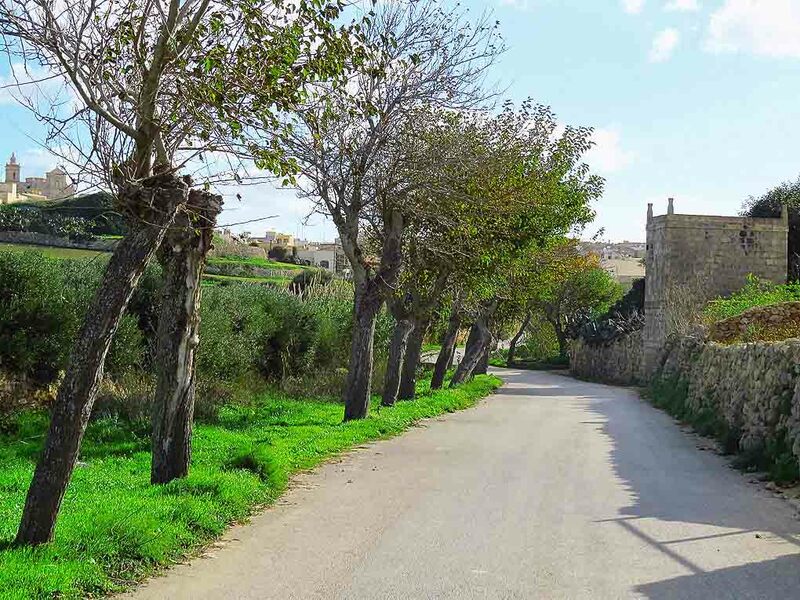 Victoria makes for a good start and end point for a circular walk taking in this area of sleepy, almost deserted villages, set against hills and valleys that make for some of the most extraordinary Gozo views. Gozo in winter is a tranquil place with a pace that is much more serene than the faster one on Malta. Western Gozo is even more slower-paced than the rest of the island with a few tiny villages dotting the countryside. A half day’s walking trip around this quiet area is a great way to get close and personal with this charming corner of Gozo. 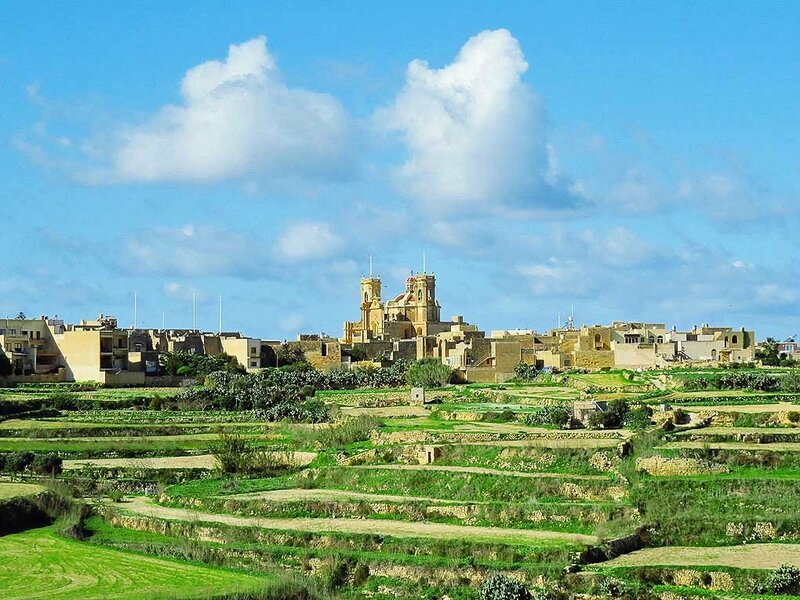 Victoria makes for a good start and end point for a circular walk taking in this area of sleepy, almost deserted villages, set against hills and valleys that make for some of the most extraordinary Gozo views. Just off Savina Square in Victoria, a two kilometre tree-lined road leads out to the tiny village of Santa Lucija with its minuscule church set in a pleasant and more or less deserted square. From here follow the road signposted to Ghar Ilma. It’s an open road with a couple of hills- Ghar Ilma and Ghajn Abdul respectively - hugging its right hand side while a valley opens out on the road’s other side. 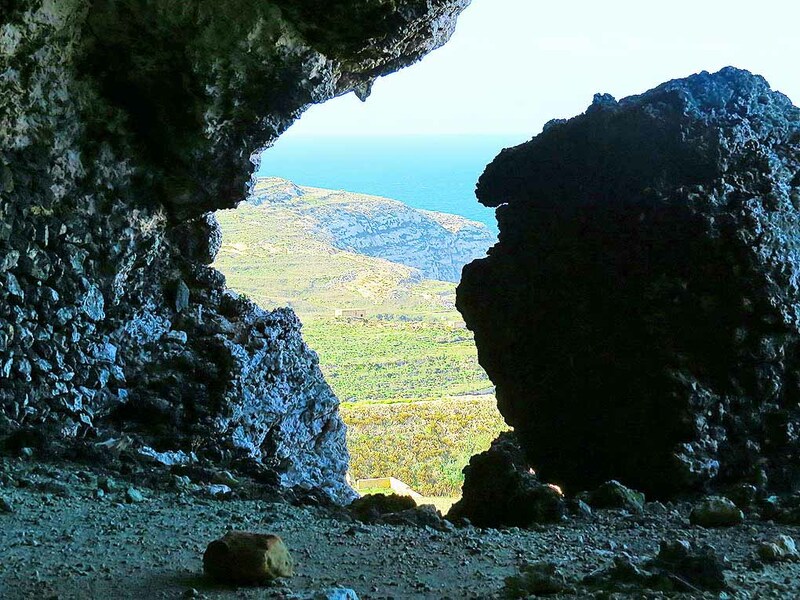 Both hilltops can be climbed for some stunning views, with the second hill – Ghajn Abdul – having an interesting series of interconnecting caves known to have been inhabited in prehistoric times. Past Ghajn Abdul the road skirts the foot of the hill and leads towards the Crafts Village at Ta Dbiegi. There are some interesting home-made crafts to be found here and the café is a good place for a break and provisions. From Ta Dbiegi take the road leading back to Victoria for some distance and then turn left towards Ta Pinu. Unlike most other churches in Gozo, Ta Pinu is open all day and definitely worth a look. It’s a stunningly located church and one of the islands’ top pilgrimage churches. Ghammar Hill in front of the church has a pilgrims’ Way of the Cross embellished with statues representing scenes from Christ’s passion. It’s a somewhat tough climb but again the views over western Gozo make the effort worthwhile. Beyond Ta Pinu the road continues past the tiny hamlet of Ghammar – probably the sleepiest settlement on Gozo notwithstanding the fact that it is straddled along what is in fact a main road. Past Ghammar is another charming village, Ghasri, with a small, elegant church, another quiet square and pretty much little else. From Ghasri’s square take the road signposted Zebbug, but at the end of the village take the minor road straight ahead rather than the left hand turn to Zebbug. This pretty road crosses the Wied ta Sara valley and has a few lovely houses along the way. The massive fortifications of Gozo’s Citadel can be appreciated from this road. After crossing the valley another hilly road (Triq L-Imghallem) takes you into Victoria proper. This itinerary takes some four to five hours to complete, and possibly longer if you climb all three hills. However one can improvise along the way by hopping on a bus to the next point, and visits to San Lawrenz and Gharb can easily be included in this way. All the villages in the area (including Ta Pinu church) are served by hourly buses from Victoria. Although this route is in fact along roads you will find that vehicle (and human!) traffic is unbelievably sparse.